Sure Line Electric is standing by ready to help you with all your electrical needs. From whole home rewiring to new outlet, and lighting boxes installed. Sure Line has the experience and training to make your Franklin Square home or business shine with new light and power. The panel is like the heart of your home or office. With power flowing through it at remarkable amounts, it is not hard to understand why of all your electrical equipment this is the most important to keep up to date. As technology has changed so did wiring technique and materials, making newer panels safer and more efficient that previous years. Make sure you keep your Franklin Square panel up to date, and working the way it should. Wires short, lightning strikes, and occasionally electronics fail, whatever the case may be Sureline is standing by ready to help you with all your electrical repair needs. If rewiring is necessary we can asses the damage and run all your new wires with as little as possible damage to your existing installation. Sometimes a new installation isn't even necessary, sometimes all you need is a new outlet or a quick connect clean up. Whatever the case may be give us a call today to help you with all your electrical repairs. Not sure if your home is safe, looking into buying new home and need an inspection for closing? 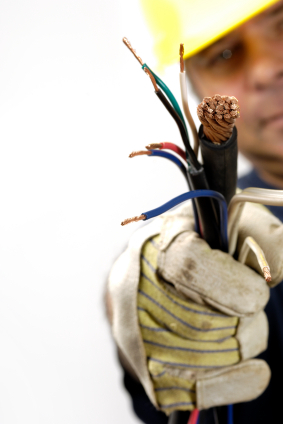 Sureline is a certified and insured electrical inspection service company. We train regularly to stay on top of all regulations and standards and we have the experience to catch even the small unnoticed things that fall outside of the norm. Major Franklin Square Home Remodel - Upgrade Your Electrical Service!